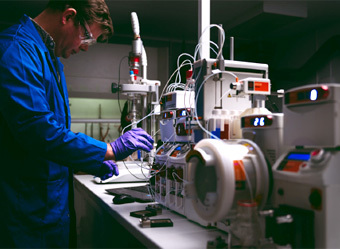 For chemists and chemical engineers in labs around the globe, we design and manufacture products for a range of applications from synthesis and reaction analysis to crystallization, calorimetry and scale-up. Scale-up of chemical processes in flow and batch. Automated and manual process development. For consistent size, shape, and architecture of nanoparticles, Syrris Asia allows for precise control of reaction time, temperature and mixing. With efficient heat and mass transfer, reactions start and stop almost instantly, providing reliable material from run-to-run. The automated Asia Flow System allows you to run multiple unattended experiments a day, and provides for efficient use of your reagents. 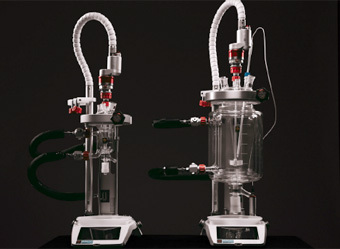 In-situ reaction data analysis available. Whether you want to dose within a defined temperature range or maintain a specific pH, the Atlas Pump allows you to automate these processes with walk-away functionality. Investigate even the most demanding processes, such as reflux or high pressure, with the Chemisens reaction calorimeter. Chemisens permits real-time monitoring of your experiments without the need for pre or post run calibration.